Elevate your marriage through intention and understanding your man’s language. 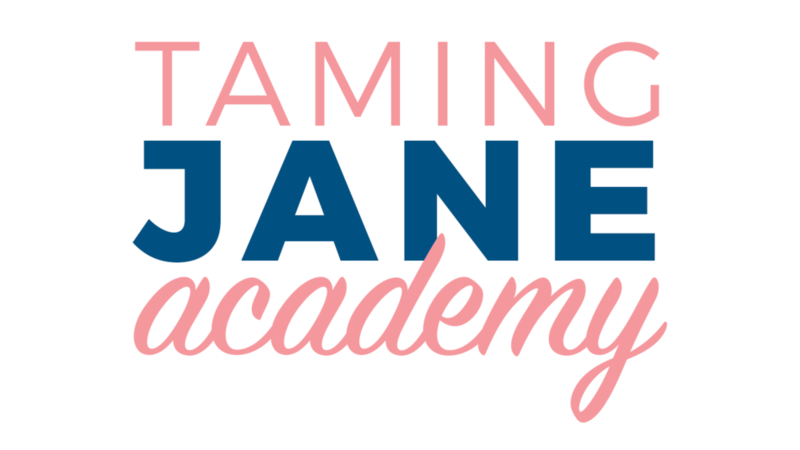 What is Taming Jane Academy? Taming Jane Academy is LIVE online 10-week course that helps women strengthen their marriage and/or relationship. Every week you will join me for a live webinar with a group of like minded-women. Do you want to be able to communicate with your man in a way that will resonate with him, and you will feel heard? Do you want to understand why YOU have lost a part of you? Where did she go? In Taming Jane Academy you will learn The Language of Men and the origin of The Intense Woman. This information sets women up for success. Not only will you understand men better, but you will understand YOURSELF better! This is EMPOWERING! Trina believes we should never stop learning. And choosing to learn how to strengthen your relationships is the GREATEST learning you will ever do! Who is Taming Jane Academy For? "Working with Trina in her “Taming Jane” Program has been absolutely transformational! I learned so many things about myself and about my husband that have led to a whole new way of thinking and being. Our marriage has never been better! I loved the weekly webinars. It was so great to learn from all of the women in the group! I felt fully supported, and I didn’t realize that I had so much in common with so many other women. Trina is a gifted teacher and an insightful friend. She led the webinars with creativity, humor, wisdom, and fun! The weekly guided thinking was so useful in creating greater closeness and fun in our marriage! It really helped me to put into practice the things that we were learning. It was a great tool to understanding myself and how I was showing up in my relationship with my husband. ​ If you are wondering if this program would be beneficial to you, do it! You will be amazed at the transformation of yourself and your relationship! You will learn new skills and be encouraged and inspired to show up in a way that changes everything for you and for him. Greater happiness, greater love, greater contentment. These are what lay on the other side of the work you put into this program. 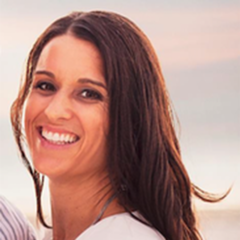 I can not say enough good about it!​"
"Taming Jane Academy provided a safe atmosphere where I could express my feelings with like minded women who were wanting a positive change in their marriage. I loved how the class provided me with the knowledge of how to build a stronger marriage and the WHY of so many questions I had unanswered for YEARS! I quickly realized that if I wanted a change I needed to start with myself. Trina has a gentle but eye opening approach on how to make those changes that will keep you moving in a forward direction with a hope and excitement for your spouse, never wanting to look back. This was an answer to prayer. Not only did this class provide me with a stronger realization that my marriage needs work every day of our existence but it helped me to realize that within this process of creating my love story I need to be kind to myself. I love how Trina continued to build us as women up. Every day after class I felt like I wanted to be better and that gave me motivation to make changes very quickly!" 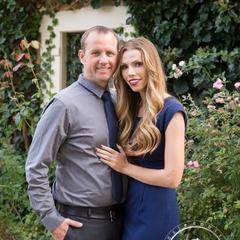 "Trina provided me with the tools I needed to make my marriage stronger, healthier and happier. She taught me how to communicate more clearly, to better understand my spouse and men in general, and to overcome my own perceived limits. 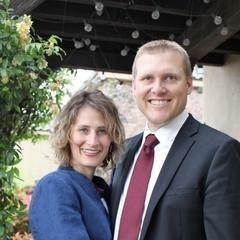 Because of her mentoring, I am happier and my spouse is happier–both as individuals and as a couple. Trina is very direct and she provides concrete ways in which I can improve my marriage. I will forever be grateful for Trina and all she has done for me individually and for my marriage. " "I cannot NOT express how significant the “Taming Jane” class has been on our marriage. If only we had this knowledge prior to our wedding day we might have avoided 2 decades of miscommunication, needs unfulfilled, hurt feelings, guilt, frustration, and resentment. This material has revealed what marriage can be… now we have the rest of our marriage to work on what could’ve been and can be today. It’s never too late… but I think for most, this information or knowledge is not talked about, taught, or understood." Do I need to have a struggling marriage to take this course? Absolutely not. In fact, I would say over half of my clients have pretty good marriages. They are wanting to elevate them! Every woman will benefit from this course. And it not only helps women understand their husbands better but their sons, coworkers, really any men in their life. Including single women still searching for their man. What if I don't have a camera on my computer? You can call into the weekly class from your phone or computer. You can also call in by video on a smartphone or tablet if you'd like. I have small kids, I don't know if this will work? THIS IS THE BEST PART! You can still be a mom! I keep you on mute so the recording isn't interrupted. This course is made for all women, including busy moms! You can put your headphones in and be taking care of the kids! I have mom's who have joined the weekly webinar from hotels, airports, work, exercising, cleaning, carpooling, waiting at dance/sport practices and while doing their hair and getting ready! What am I expected to do during the course? I do not put any expectations on you but I do encourage you to put them on yourself. Approach the course like a college class. You have paid for this course, you deserve to give yourself this time to continue your education. Learning knowledge that will help you strengthen your marriage IS the most important thing we ALL should be doing. When you sign up I will send you two digital books as a gift from me. I suggest you have 1 of them read before the class starts and the other at least 1 chapter a week during the course. My husband and I are really struggling is this going to fix it? Like with any program no one can guarantee that they will fix your marriage. What I can share is, I have watched women with terrible marriages turn them around. It honestly has been incredible to watch their journeys. I am the mouthpiece, I am sharing with you knowledge that as YOU choose to apply it YOU will make the difference in your marriage. I will encourage you, I will believe in you, I will share with you knowledge that actually WORKS, and I will share with you how I have personally used it in my own marriage. My husband deals with some of his own challenges such as addictions, will this help? I am not a counselor or professional therapist. I believe men and women that are struggling with unhealthy addictions or any type of abuse need to seek professional help. Many of my clients have husbands with some sort of unhealthy struggle in their life. My program can assist these ladies in creating a safe place, a secure foundation, for their husbands to seek their own healing. If you are in a dark place, and you're trying to decide if your marriage is worth saving, my program can help you work on your part. He will need to ultimately choose to do his part. If in the end, he chooses not to do his part, you will know you tried all you could. I do not encourage any woman to stay with a man who is physically abusive. All webinars are recorded and uploaded online in your membership site. If you are not able to attend the scheduled time you can watch the recording before the next week. After the completion of Taming Jane Academy you will receive a FREE membership to UPKEEP3; Trina's private membership for women. I created UPKEEP3 - Love Your Man|Be Adored|Create your Story - for graduates of Taming Jane Academy. This is a group of like-minded women who all have the same desire to keep their marriages a priority. Life often screams louder than our marriages. Because of this I wanted to help women keep moving forward with intention. 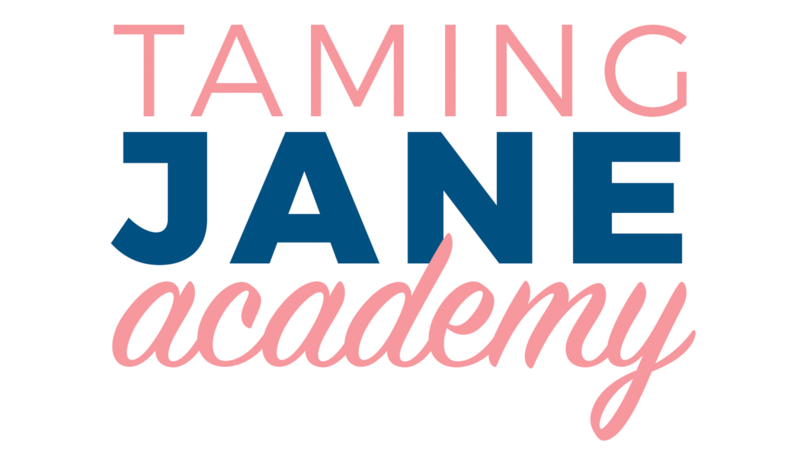 After the completion of Taming Jane Academy you will receive a FREE membership! In my membership, we concentrate on strengthening all 3 of these areas. An opportunity to learn new perceptions. I recommend and we read books that will help you continue on your path of ELEVATING your life and Marriage. You will be encouraged to appreciate and admire your man. After going through my program you will have a renewed desire to love your man. I keep you moving forward in this intention. Balance! As women we will give and adapt everything away. Including our femininity. I help remind you to fill your well, so you can give from a full well instead of being sucked dry. Living by the 3 - 7's; every 7 days go on a date, every 7 weeks get a night or weekend away and every 7 months get a 5+ day vacation! 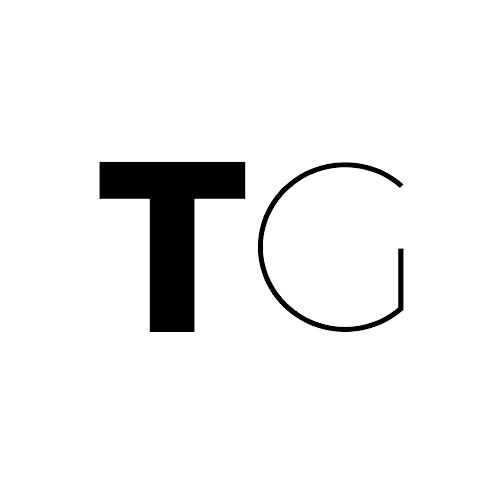 Office Hour with Trina - conference call at 12 pm MST on the last Thursday every month. Q&A and Trina discussing the last book. 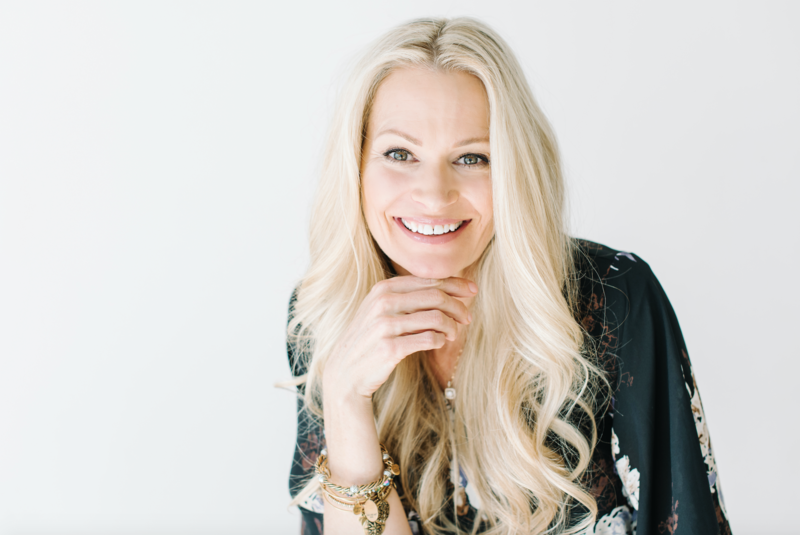 FREE Access to Marriage Mentoring Videos with Trina Glines.